My mom is coming to visit this weekend to help me with a few projects around the house. We’re painting the front half-bathroom, filling in some old art holes and hanging pictures. I’m excited to get her expertise on a few things, and we work together fairly well. We’re both stubborn and loud-mouths, so put us in a small half-bath and we’re set for the weekend. 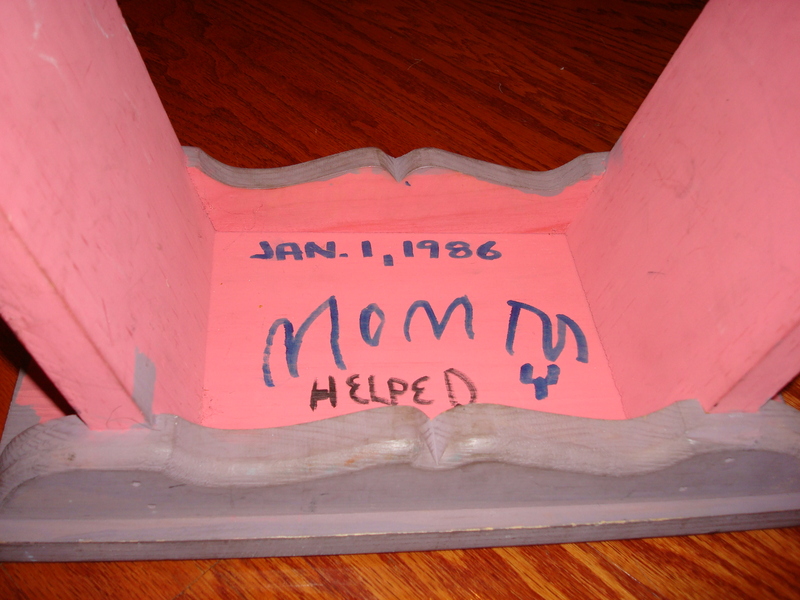 This weekend reminded me of another project we did when I was almost four years old. It pays to have an artist mom, so paint and supplies are free and in large quantities. 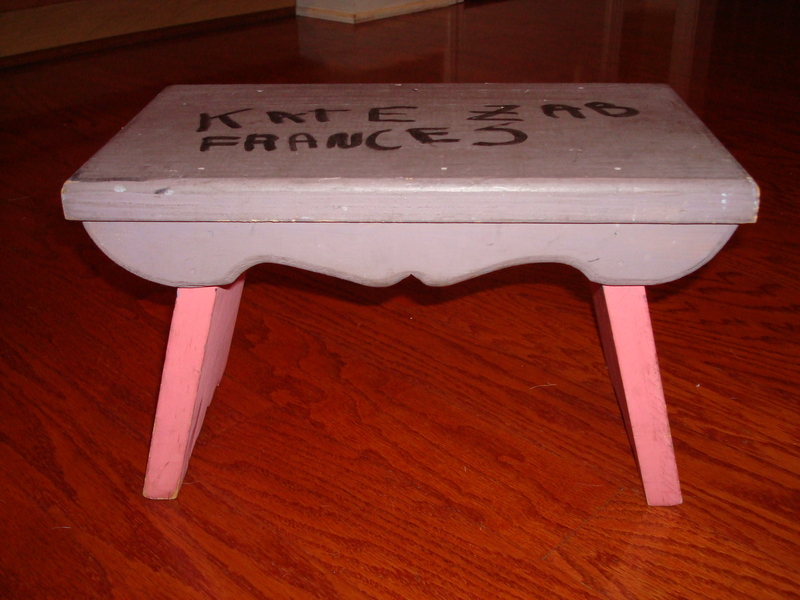 I was apparently given (or my Pop made) this little stool that I painted. Obviously, my favorite colors were pink and purple. And, with ALL things I created, my mom insisted I write my name and the date, but it looks like I ran out of room when signing! 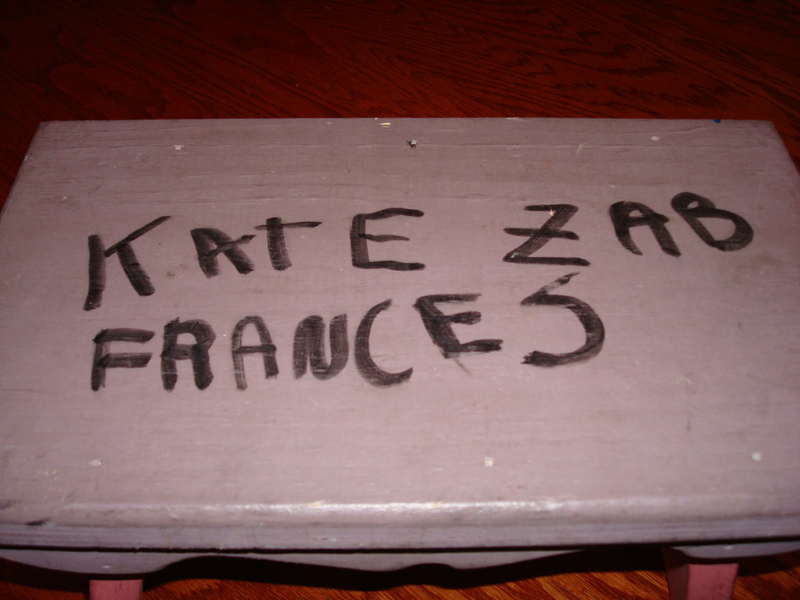 Anyway, here’s to a weekend of more projects similar to this cute old stool, still proudly on display in my kitchen.